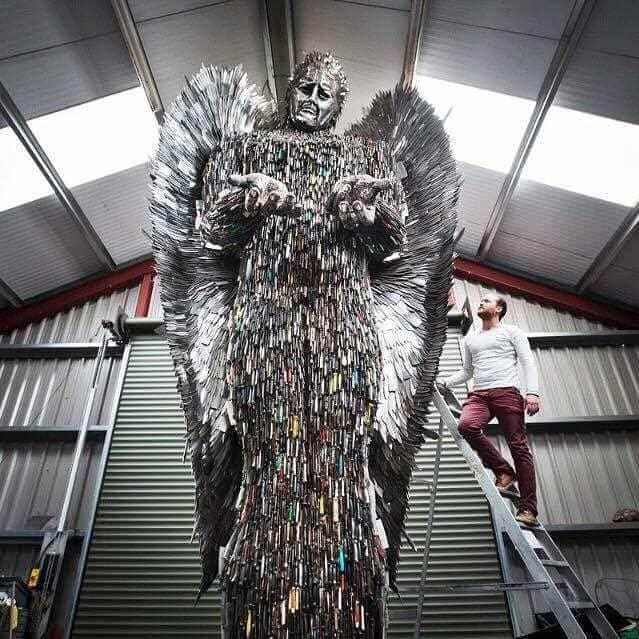 You’re going to see a very interesting and unusual angel here, pretty dangerous. 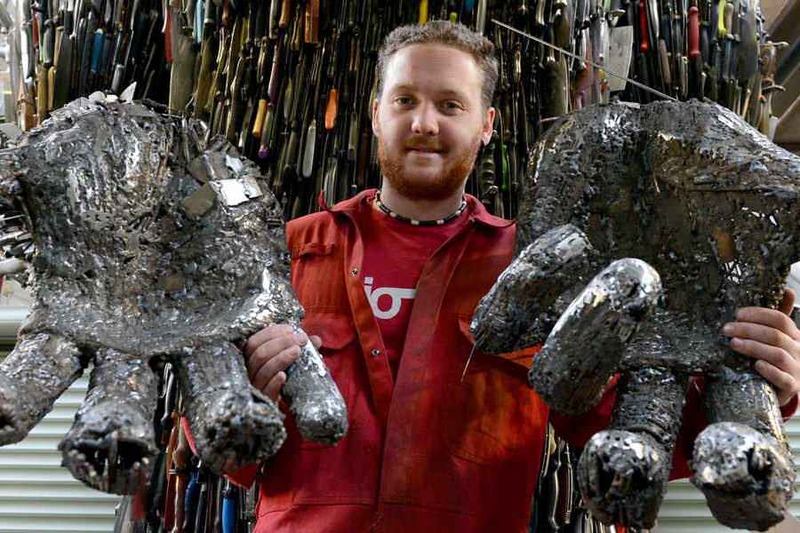 He’s quite a naughty one as he apparently likes knives and actually wears them like precious jewellery. 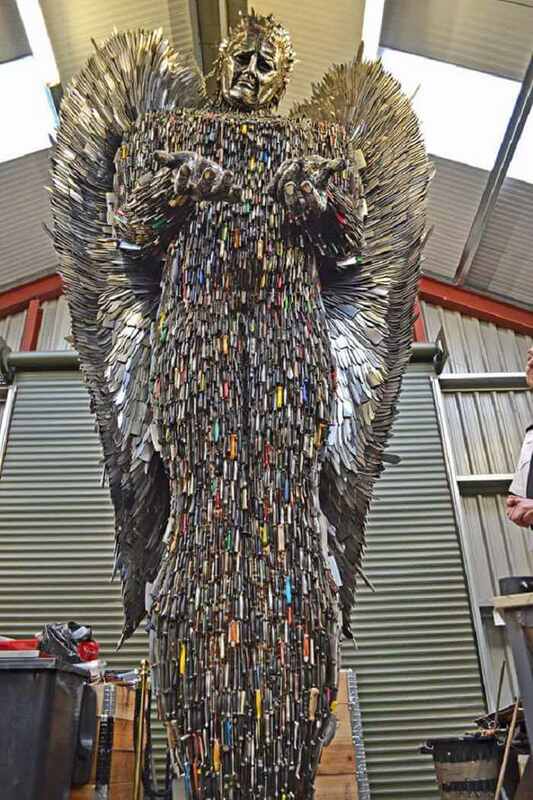 We’re joking, he’s made of knives, 100,000 to be precise. 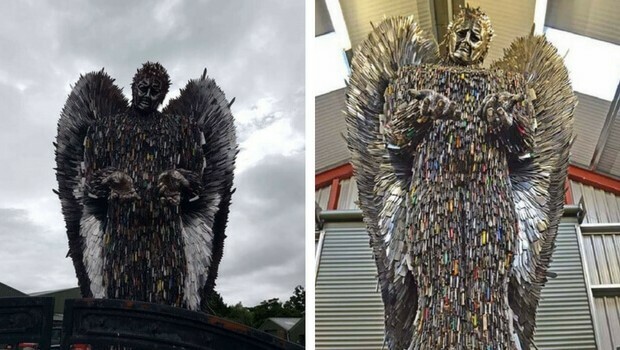 This knives angel is the creature of Alfie Bradley, it is 26ft tall and it serves as a monument against aggression and violence. 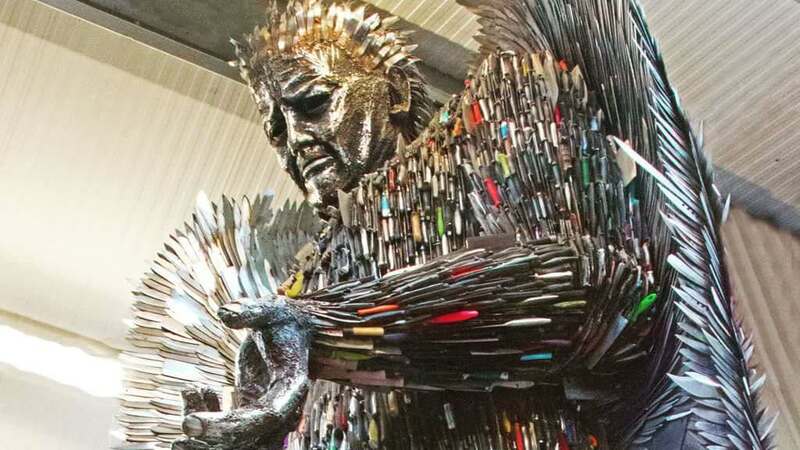 It was built in the memory of those who lost their lives to knife attacks all over the UK. 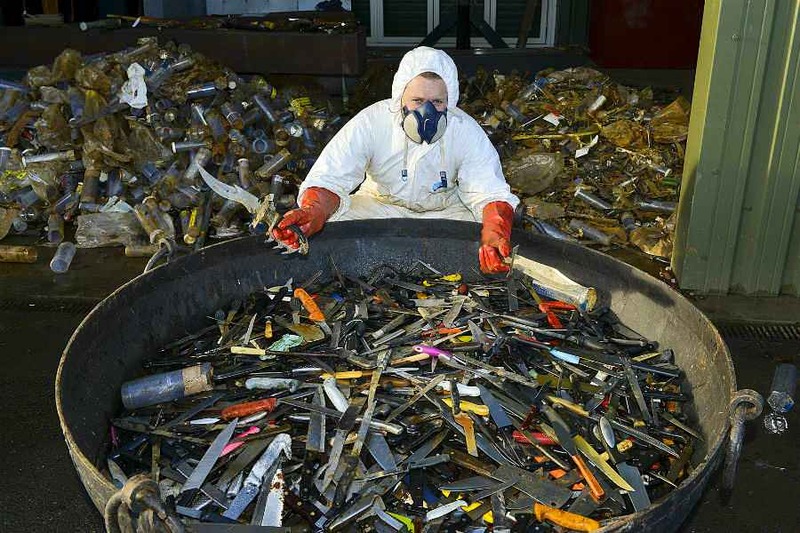 Many of the knives are actually “murderers” as they come from real stubbing cases and have blood on their blades, at least metaphorically speaking. 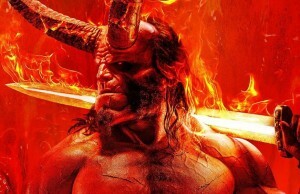 It’s quite a bloody angel, don’t you think? Looking at it, it resembles a little bit with a Transformer, wouldn’t you say? A Transformer with some sharp edges. 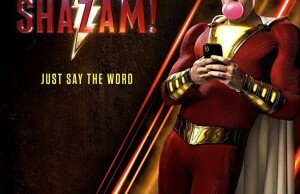 Leaving jokes aside, we think it is a brilliant and powerful idea. The angel’s face shows anguish and his hands are stretched out like asking: “Why? 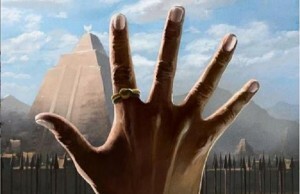 Why did you make me?” meaning “why did you give me life? 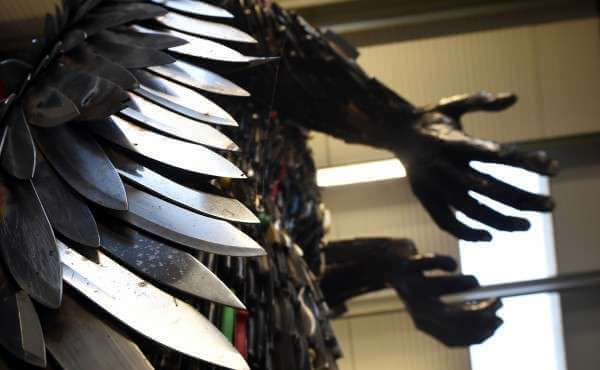 Why did you give me these knives to build my body?” We think it gives out a very powerful message. It was made at the British Iron Works in Shropshire. 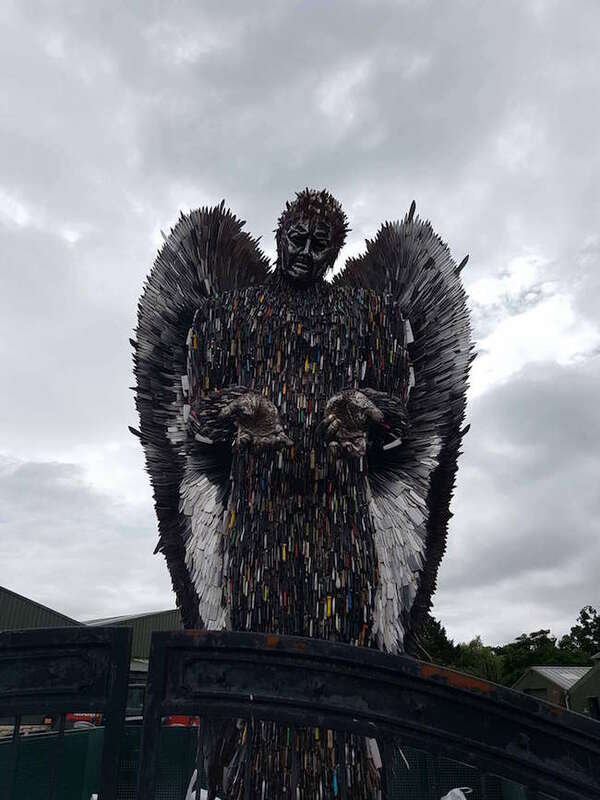 If you want to go there and take a closer look, you will see that many of the blades have names engraved on them, the names of the one that were being stabbed, the ones whose blood stained the angel’s body, metaphorically speaking. Next Story → 9 Incredible Makeup Brushes Sets You Must Have!